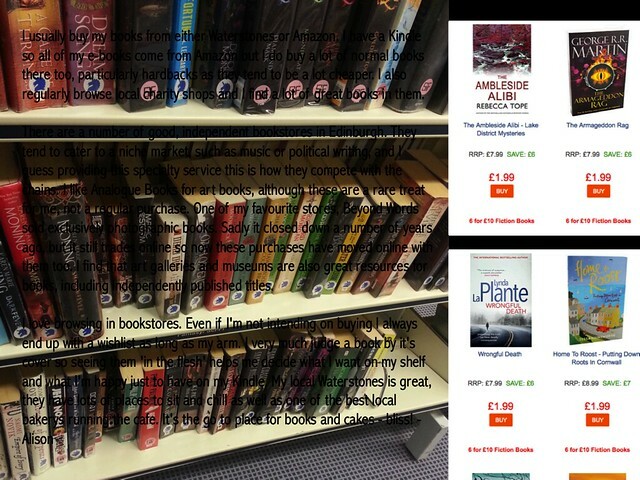 As well as our reviews we've had some lovely guest posts on the blog lately. Erin showed off the new Vintage Classics Austen series and also listed off her top 5 books on her 're'-read' list. Our regular reviewer also waxed poetic about her love of zombie fiction and gave us some recommendations too. 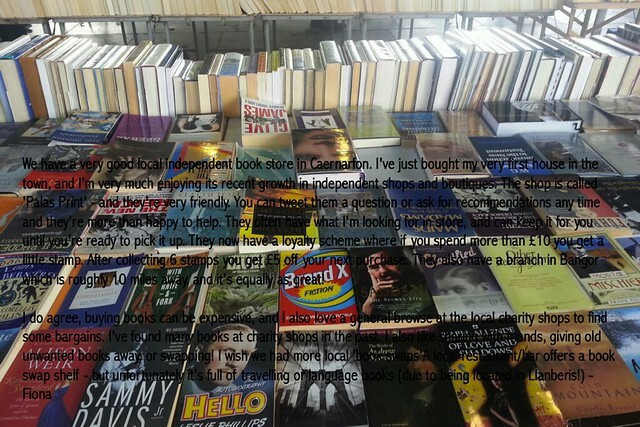 We also got to know Emma from Reviews with Emma as part of our 'Being a book blogger' series. Blogger's Bookshelf also got to be part of the online cover reveal of The Elementalists by C. Sharp! Rather excitingly, our blog co-captains, Erin and Ria, got to meet the one and only Rainbow Rowell at her Q&A evening in Waterstone, Piccadilly. Check out their round up of the event! We've been collab happy since the last round up! July's post had our blogger's travel down the fictional roads of their favourite Literary Journeys and our August post got us all debating Bookshops vs. Buying Online. Our bloggers also gave us a quick update on the 2014 Reading Goals. Our next group post is all about the journeys from our favourite books. We'll be delving into both fiction and non-fiction to pick out our favourite journeys and travel stories, and we'd love to hear your thoughts! Drop us an email, tweet us or post to our GoodReads page by 17/9/14 to have your answer included in the post! We're looking for more guest reviews and other posts to share on this little corner of the internet so if you've got an opinion on anything book-related now is the time to speak up! Whether it's a review of a new release or an old favourite, an opinion piece on ebooks or a top 10 from your most-loved genre we'd love to hear about it. 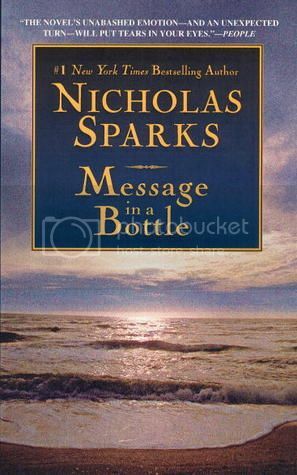 Theresa Osborne discovers and washed up bottle whilst on a work trip, inside she discovers a letter so beautiful, heart-breaking and full of love that Theresa can't help but want to know more about the man who wrote it. She begins her search and soon Garrett (the man behind the letters) and Theresa's lives come together in this story which fills our hearts desire of finding true love. As you have all probably worked out by now I am a bit of a Sparks fan, this is in fact the fifth book of his that I am reviewing (do I get a crazy fan status for that?) There has always been something about his books which draw me in, toil with my emotions and leave me want the story to carry on forever. This story gripped me from the moment Theresa found the bottle, I wanted to know who the man was behind it as much as she did and I could already see a romance arriving (I didn't say the books weren't predictable.) 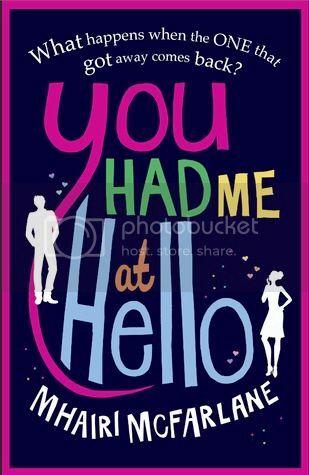 I enjoyed the storyline and although I was surprised by the ending (no spoilers here) I think it really suited the storyline which Sparks was portraying throughout the book. Garrett was definitely a favourite character of mine, a little broken but an all round nice guy, this book is his mending process after losing the love of his life. I enjoyed seeing him come back to life again with the help of Theresa and her son. Theresa is another likeable character although at times I did find her a little frustrating and I wanted to shout at her for some of the lies she told. Overall this is another Sparks classic story. Any Sparks fan will enjoy it, as will any fan of the romance genre. the Wandering Water stays put. The Land of Naught is on fire. People are starting to get old. People are forgetting how it used to be." While this book has been on my Good Reads 'to read' list for a while now, and it's been in the back of mind that I need to borrow it from the library to read it, I sort of bought it in a flurry of 'hey there's the book that sounds awesome and I want to read' while I was in a shop the other week. It wasn't on sale, but I bought it anyway. But, my fellow book-lovers, I'm so glad I did! 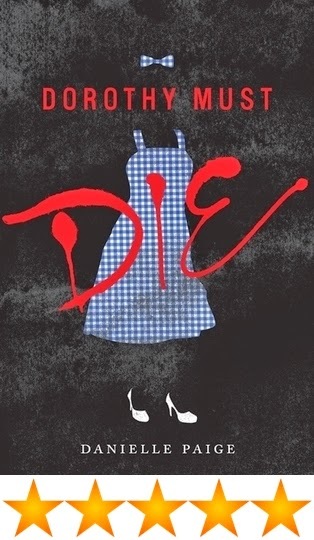 Dorothy Must Die, by Danielle Paige, is the story of 'the other girl from Kansas'. 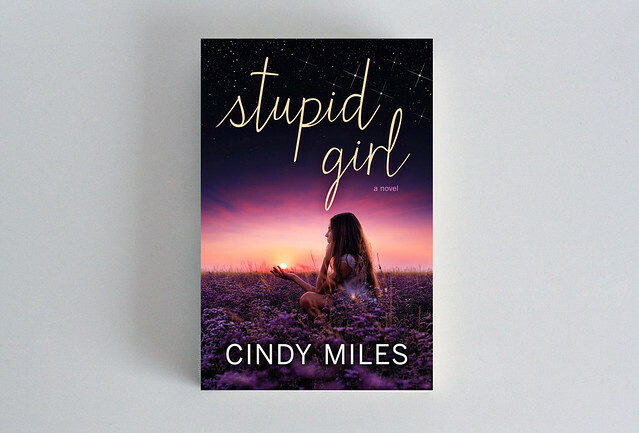 Amy Gumm is an ordinary sort of girl, attends the local high school, lives with her crazy mother in a trailer park, and has heard the story, like everyone else, about the land of Oz and Dorothy from Kansas. She thought it was just that, a story. But when there's a tornado ripping through the county, Amy finds herself alone in the trailer with only her mother's pet rat, Star, for company. The next things she knows is she's been ripped from the ground by the wind, and when she lands she doesn't know where she is. After a bit of confusing conversation with a boy who finds her, Amy realises she's in Oz...a land she (and the rest of the world) thought was just a fairy tale. Now Amy learns that what happens in the book, in the movies, is actually only half the story. Yes, Dorothy went to Oz, yes she met the Tin Woodman, the Scarecrow and the Lion, yes she has pretty shoes and eventually returned home to Kansas. But that's not where the real story ends. Dorothy returned, and with her return was the fall of Oz. The Oz Amy lands in is not like it used to be. "I never expected Oz to look like this. To be a place where Good Witches can't be trusted, Wicked Witches may just be the good guys, and winged monkeys can be executed for acts of rebellion. There's still the yellow brick road, though—but even that's crumbling." The story follows Amy as she learns about truth about Dorothy's return, as she is recruited by the Revolutionary Order of the Wicked, as she learns to fight, and as she sets out on her mission to kill Dorothy. It was truly an awesome book. I loved every part of it, and when it finished I just wanted the next one straight away (alas, I have to wait until March next year). I think I could talk about this book forever, but I'll try and keep it brief...The characters were really good. I liked Amy as a main character, and the others all had their quirks and personalities that were very distinct and likeable (or dislikeable, in a lot of times). While it sort of finished a little abruptly, the plot was full of action, of the crazy unimaginable things about Oz we all love from the original story, of tense moments, and of the odd funny one thrown in here and there. The love interest wasn't really a love interest, just a sort of crush-like state, which was actually really nice, as the story has more about Amy and her mission than about her falling for some magical boy. While it keeps a lot of the odd sort of fantasy-like land that Oz is in the original story, Dorothy Must Die has, as you can probably imagine, horror-genre moments, and at times I found myself grimacing at what was going on. But, having said that, that's probably just because I don't normally read books that have a lot of blood in them. What I did find a little misleading was what the description says on the back. It reads: "Remove the Tin Woodman's heart. Steal the Scarecrow's brain. Take the Lion's courage. And then - Dorothy must die." That's really what drew me in...but (and this doesn't really spoil anything, I promise), Amy only finds out that she needs to destroy the three sidekicks right near the end of the book, so she doesn't actually end up doing so. I assume that will be the next book. Just don't go reading it expecting Amy to be slicing up the Tin Woodman, Scarecrow and Lion before she gets to Dorothy. Doesn't happen. Wow, this is getting long. Okay. I'll stop. But I really did love this book, and while it did take me 12 days to read, I know that if I had the time I would have read it faster. If you love the story of the Wizard of Oz and want to dive into a slightly twisted, odd, creepier tale taking place in the same magical land, read this book. I will definitely be reading this one again sometime. Don't forget to leave your opinions on this topic in the comments section below, we would love to hear them! The 100 Society follows Grace and her group of boarding school friends who are taking part in an illegal game that involves tagging 100 specific locations in the city. Almost done with the challenge things take a turn for the worse when the group discover that they are being watched by someone tagging their rooms with the ‘Reaper’. Billed as Point Horror meets I Know What You Did Last Summer this twisty YA horror gets off to an interesting start with the introduction of the mysterious stalker but for me the story grew more intriguing as it went along. Unfortunately the whole concept of the 100 Society graffiti game was something I didn’t enjoy that much and found a bit difficult to buy into, however I did really like how the teen’s artwork played a crucial role in the story’s conclusion. The characters are very typical of the genre and this type of story so unsurprisingly their individual backgrounds aren’t explored very much within the novel. Personally I didn’t mind this factor as with the mystery of the Reaper running throughout the story the vague character descriptions definitely help to keep the reader suspicious of everyone in Grace’s life. Overall I think The 100 Society played out well and is a good little read to pick up in time for Halloween. Plus, I’m really pleased to see more exciting mystery/horror titles popping up within the YA genre! The 100 Society is released on September 4th and you can pre-order it here now! It's been two years since Claire Graham moved to Manhattan, haunted and wracked with guilt at the memory of the tragedy which left her sister, Ella, scarred, bloody and only just alive in a cornfield in her former hometown in Amble, Ohio. Though written off as an accident, Claire is convinced it was the bloodthirsty infamous Amble wolves that tried to take Ella's life. Now Ella's missing again, and Claire returns to the sleepy small town. Armed with only a handful of clues, including Ella's cryptic diaries from after the accident, and the help of soft-spoken Grant, a boy from her past now the Sheriff's assistant, Claire is now racing against the clock to find Ella before something truly horrific happens. And she needs to hurry as the wolves are starting to bear down on her and her quest for the truth. Of Stars and Stardust is told in a first person narrative, the audience essentially lives out the entire story as Claire experiences it. This style is great for preserving the real mystery of what happened right until the end and you also get a feel of the emotions Claire experiences as she unfolds the mysterious events that happened. However, for the most part the story weaved round in so many circles that I personally was left a little lost at what was even happening. In hindsight this may have been deliberate on the author's part and it did mean most of the reveals in the book were definitely surprising. I also felt a little mislead by the description of this, which made it out to be more of a paranormal mystery, than the psychological thriller it turned out to be. In fact the whole book seemed to be a mismatch of genres, from a psychological horror, to dark family drama and even romance. Despite the thriller tag I've given it, the pacing of the story was very stop/start during the first 3/4 of the novel and I found myself just reading on because I needed to find out the ending already. 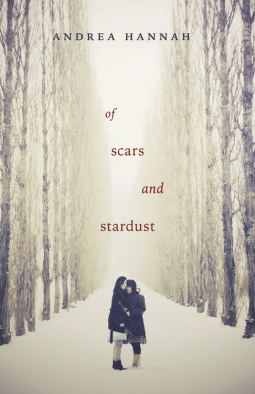 I will give credit to Hannah for creating a pretty believable and heartfelt bond between the sisters though, the dynamic between the two was one of the few things I enjoyed about the book. All in all, it was a bit hit and miss for me, but may be one to take at a slower pace on a re-read. For lovers of...Donnie Darko, Thirteen Reasons Why and Gone Girl. Island of the Blue Dolphins by Scott O'Dell is based on the true story of a girl who gets stranded for 18 years on an island off the California coast in the 19th century. It's the story of Karana, a young girl that accidentally gets left behind when her tribe leaves the island. To be honest, there isn't too much happening in this novel. The novel just simply tells the story of Karana's every day life on the island. Fishing, collecting food, building shelter and making weapons to defend herself against the wild dogs that circle her camp during the night. But I have to say that I still truly enjoyed this book. If I had children this is the kind of book I would love to read to them! The novel really portrays the life on the island in a beautiful way, Karana's love and respect for her surroundings and how she befriends many of the animals on the island. One of the wild dogs that she fears in the beginning of the story later becomes her friend and companion and their relationship makes a nice addition to the story (I'm usually not that touchy-feely, but I can't help it, you got to love a beautifully written friendship between a human and a dog). The novel is also really well-written and I can hear that it's Karana's voice that tells us her own story. Sure, the language can sometimes be a bit juvenile, but let's face it, it's a children's book written from a young girls perspective. I think this is a beautiful children's novel and it makes me want to live alone on an island for 18 years so I can befriend a wild dog and a few otters. If you have children (probably around the age of 8-11) you need to read the Island of the Blue Dolphins to them, because this is a story that you yourself will enjoy as much as your kids will. If you don't have kids? Don't worry, you can still read it and truly enjoy it! I just wish I would have know about this book when I was a kid, I would have probably given it 5/5 stars. 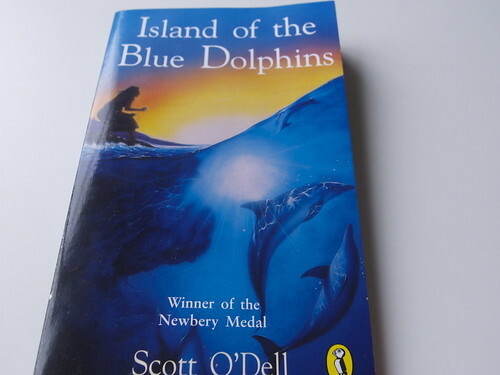 But the 27 years old version of me gives Island of the Blue Dolphins by Scott O'Dell 4/5 stars. When I recently stumbled upon these beautiful new editions of six Jane Austen novels I thought they were too pretty not to share! 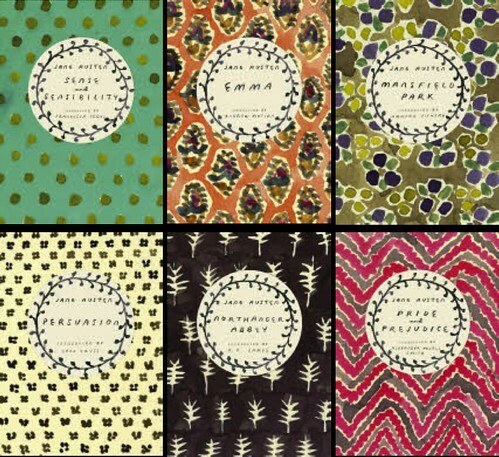 The Vintage Classics Austen Series features Emma, Pride & Prejudice, Mansfield Park, Northanger Abbey, Sense & Sensibility and Persusion, all with covers beautifully designed by Leanne Shapton. 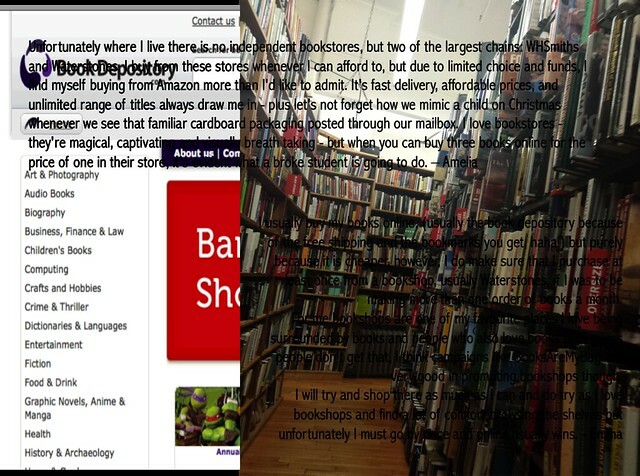 Each novel also includes an introduction penned by a contemporary writer, all fans themselves, perhaps bringing with them a new perspective for readers. These editions retail at £7.99 each and can be found on the Vintage Books website, via stores like Anthropologie or at your local Waterstones branch. What happens when the one that got away comes back? Ben and Rachel were the best of friends, it was them against... well everything and everyone. But then as University came to an end suddenly their friendship died too. Over a decade later they walk back into each others lives, but time has moved on, they have grown-up and moved on... or have they? This book is exactly what it says on the tin and that is not a bad thing. It's chic-lit and if you are looking for an easy, predictable, likable read this this book is perfect, it fits it's genre brilliantly. I have to say this book got me at the front cover (I know never judge a book by it's cover) and I was not disappointed. Rachel and Ben haven't seen each other for 10 years so although they used to know each other we get almost a new friendship building along with flashbacks of their time together at university - they are just the nicest, most lovable and cute main characters you could wish for. We do however get more than just a love story, we get friendships stories too, as Mindy, Ivor and Caroline being Rachel's best friends and support network. I loved the story line as predictable as it was, it drew me in and made me angry that and impatient and drove me a little crazy a times. But alas it was not just the plot that frustrated me but there are also characters that are there for you to dislike - Hello Simon and Zoe!! I would absolutely recommend this book to any chic-lit fan, it's definitely a perfect holiday read for the summer! Strange things start happening after Mary sees Floating Boy for the first time at a family birthday party. The papers all dismissed the phenomenon of a boy flying (ahem, floating), but Mary knows better. When she finds her little brother floating on the ceiling of their home, she knows she has to find Floating Boy and get some answers. Soon the whole town is infected with some sort of floating-disease...everyone except Mary. Then her brother goes missing, and Mary and her floating friends (including Floating Boy) have to go and rescue him from a mad scientist. Oh, and there are cows. Lots of floating cows. "Things Mary doesn't want to fall into: the river, high school, her mother’s life. Things Mary does kind of want to fall into: love, the sky. It’s all up in the air for now, though, and falling fast. . . ."
It sounds like a fun concept, right? People floating around? That's what I thought to, but I didn't really like it at all. The main character, Mary, just wasn't that great, nor was she a character you could hate (you kinda want one or the either, right? To make you feel something, anything). She was just meh; an I-don't-care-what-happens-to-her type character. 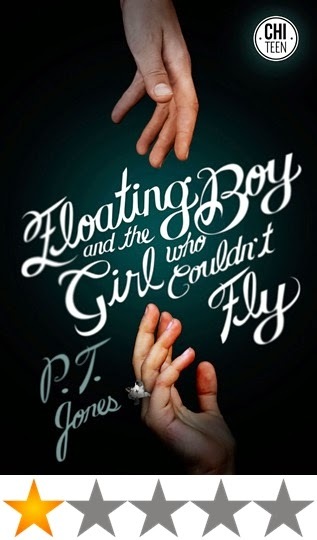 Floating Boy was called 'Floating Boy' for the entire book basically, which was frustrating and it made me feel like he didn't have an identity. I know that your name doesn't define you, but by golly it helps. Other things that I didn't enjoy include how quickly Mary just accepted the fact that floating around in a flying-like manner was fine and dandy; how the whole scientific reasons for the floating was just confusing (if the reason was just 'magic' then I would totally be okay with that...); Mary's voice in the story, as it's told in first person, just wasn't very engaging and while the first few papers I thought it would be a good book...I found it took a turn for the worse about a chapter in. While I'm writing all these bad things, there were some good points. I really liked the concept of a floating boy; the idea reminded me of Peter Pan. I did feel for the little brother, and liked him, but I think that that's about it. So would I recommend it? Not so much, no. 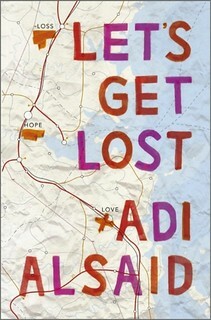 But the title was nifty and the cover was pretty...so that serves me right, really, for judging before reading. This book was provided for me for an honest review by NetGalley and Diamond Book Distributors. 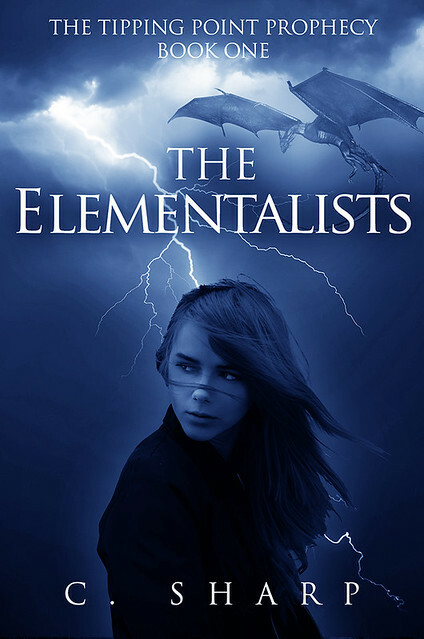 The Elementalists, book one of the Tipping Point Prophecy, follows Chloe and her group of friends, and enemies, as they struggle to save humanity by harnessing the power of the elements." The Elementalists is due for release on November 28th and you can pre-order it now! You can also find out more on Goodreads. Roberta 'Bobbie' Rowe, isn't easily spooked, especially when she and her best friend Naya and adorable, local boy Caine are roped into doing the silly old 'Bloody Mary' dare on a Halloween night by the IT girls at her boarding school, Piper Hall. Low and behold after saying Mary's name in the mirror five times, nothing seems to happen...or so she thinks. The next day Bobbie finds 'FIVE DAYS' emblazoned on the steamed up bathroom mirror, and things only get stranger and more terrifying from then on. Soon Bobbie and her friends are caught up in a hellish nightmare with Bloody Mary at right their heels. Holy mother of all was this nightmare-ish in the best way possible! All the elements of a good ol’ ghost story are there, from the archaic and creepy boarding school setting, to the annoyingly naive popular kids rebuffing the existence of ghouls in said school, and of course a little bit of blood and mischief on Mary’s part. Dawson’s take on the Bloody Mary urban legend is so inventive and he has managed to nail the horror genre right on the head, with twists, turns, and page turning suspense in every chapter. 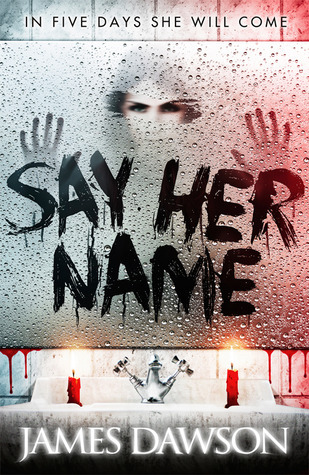 For me Say Her Name is the horror novel the YA universe has been lacking and is a book that’ll have you peeping over your shoulder and avoiding all reflective surfaces for a long time! For lovers of…The Name of the Star (Maureen Johnson), American Horror Story and Scream.